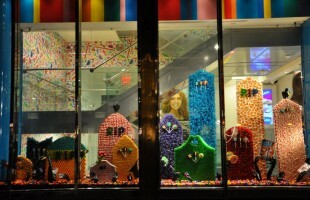 Dobbins & Wright Creative created for Dylan’s Candy Bar a graveyard where tombstones are made of candy. 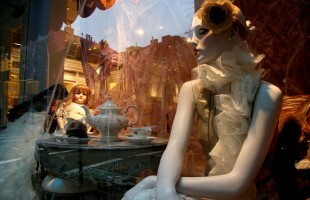 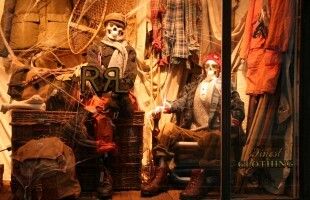 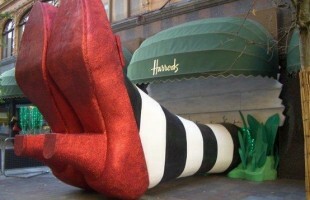 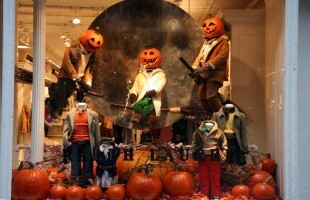 Ralph Lauren Halloween Window Display where Pumpkin mannequins flying on broomsticks. 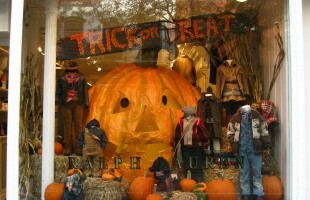 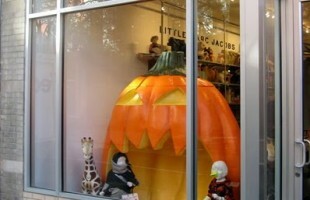 A spooky traditional halloween window display with cut out pumpkins. 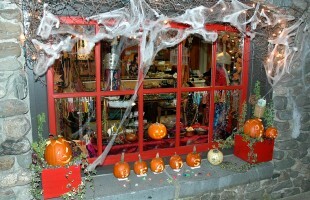 The owner Katie Wright of the beads store Hammered Edge dressed the window display herself.